MR. GREY WILL SEE YOU NOW…. Those famous words, from that famous “make moms go wild” book, that you may or may not admit you have read. What does this have to do with Portland’s Heathman Hotel, you may ask? So many things. E.L. James (the author of the ’50 Shades of Grey’ series) stayed at the Heathman Hotel during a 2012 visit. It was in part because of that first visit to Portland that she included the hotel in various scenes within the book – and it is the only hotel to make an appearance in both the book and the movie. But I digress, this is not about the crazy women in suburbia, this is about a fabulous boutique luxury hotel in downtown Portland that will not only make you feel a little more special during your visit but will charm you so much you’ll set a flight alert for another visit back to Portland ASAP. 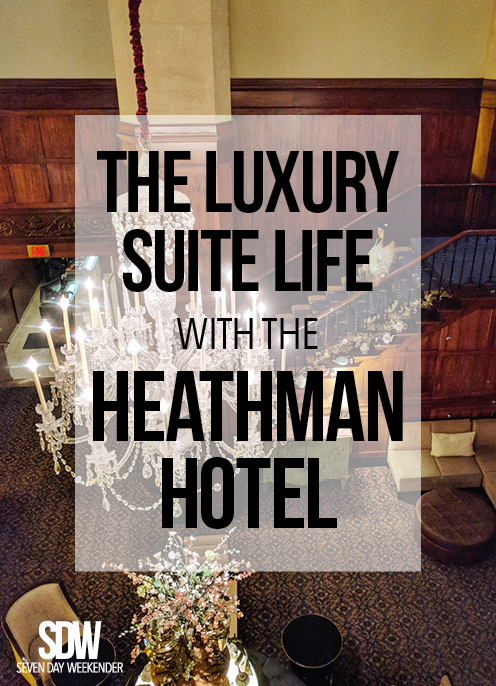 Part of the Historic Hotels of America, The Heathman Hotel was built in the 1920s (no wonder I’m so obsessed with it) at a cost of $1 million – which is kind of insane if you think about it. With wealthy lumber barons, railroad magnates and politicians as investors (you know the high maintenance type who like the finer things in life) the original Heathman Hotel had to be rebuilt a year later, a block away from the original location, in order to satisfy the city. When ‘The New Heathman’ opened it was greeted with fanfare and was “the place” to stay at and is currently one of the last remaining historical Portland hotels, which also includes the Benson Hotel (opened 1912), Imperial Hotel (built 1894), and Governor Hotel (built in 1909 which is now the Sentinel Hotel). FUN FACT: For those of you who love history just as much as I do, it’s also on the National Register of Historic Places. With a perfect Art Deco interior, it's the ultimate setting for its extensive art collection. 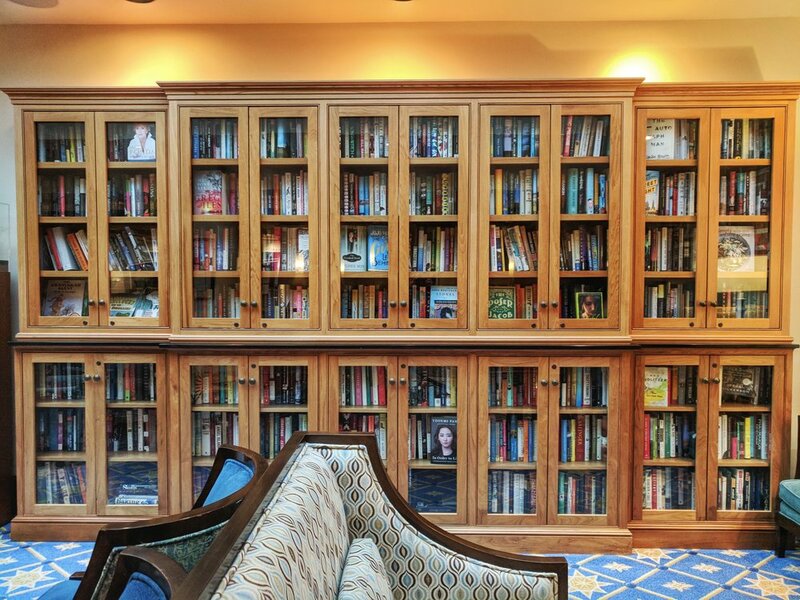 A huge supporter of the arts (both visual and literary) the Heathman has hosted an impressive amount of authors, which include past presidents, poet laurites, and Pulitzer prize winners. The refreshed guest-rooms are furnished in 18th–20th century Biedermeier, Ming, Empire, and Regency styles. On the mezzanine level, overlooking the gorgeous Tea Court Lounge, is a library which contains over 2,700 books, signed by the authors who have all been guests at the hotel. The entrance features a bronze sculpture of Zelda, an English bulldog from Portland (who is also dressed in a Beefeater costume similar to the doormen). Headwaters Restaurant (run by Iron Chef America winner and James Beard Foundation Best Chef Pacific Northwest recipient, Chef Vitaly Paley) is named for “the source”, and showcases Oregon’s abundant gastronomy from the farm to the sea. Food & Wine magazine listed the Heathman as one of America's 21 most haunted restaurants and hotels. According to the magazine "a guest who fell from the window of Room 703 now haunts the whole line of rooms ending in 03." 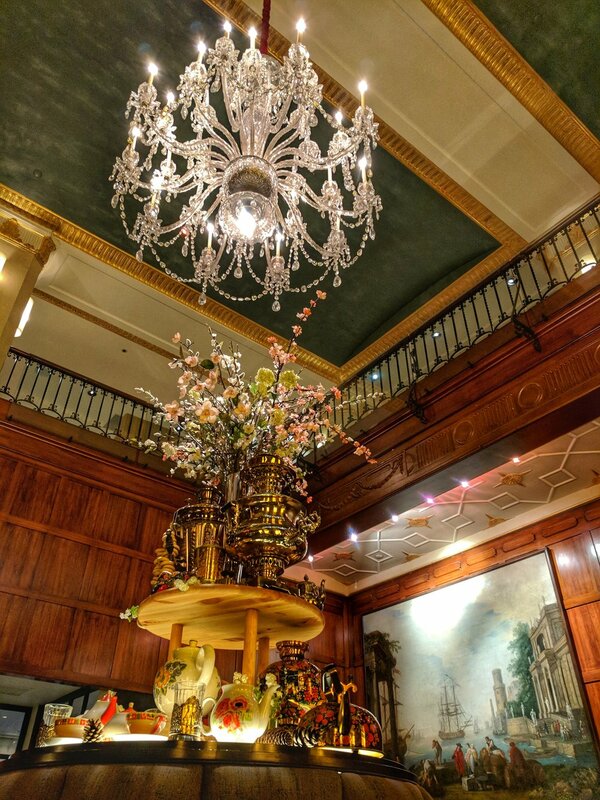 The interior eucalyptus-paneled Tea Court Lounge has been fully restored to its original glory, and with its jaw dropping chandelier and oversized fireplace you’ll want to hang out here all afternoon as it drizzles outside. During the 1980s remodel the hotel acquired several original artworks, and thus launched their campaign to support the visual arts. The collection has grown to 250 original paintings, photographs, and works on paper (focusing on American artists). The art exhibits can change seasonally and are located on the mezzanine around the Tea Court Lounge. Although I did not eat in The Heathman’s Headwaters restaurant I was able to enjoy the modern and bright interior. Currently run by Chef Vitaly Paley and specializing in seafood and Northwest cuisine, the restaurant is a member of the National Historic Register. So while you’re here, eat local. As you walk up to the impressive entrance you’re greeted by the friendliest doormen, dressed in English Beefeater costumes (they are kind of known for this). During the duration of your stay the staff will do anything they can to make you as comfortable as possible. With 150 rooms there is a great variety available for your stay, including a handful of themed suites. They have also integrated their support of the arts through a room on the property which specifically pays tribute to Andy Warhol in its interior design. FUN FACT: Warhol’s Endangered Species lithograph series can be found on most floors. I was lucky enough to stay in the Symphony Suite (one of the individually decorated suites on the property), which featured a cute little entryway which opened up into the living room as I walked in. This was the perfect area to store my coat and wet umbrella each day and even featured a fully stocked private bar. You can tell The Heathman takes "The Art of Sleep" very seriously. My bedroom (which was separate from the living area by pocket doors), was amazingly large! The king sized bed had the cutest accent pillow and the most comfortable Lotus luxurious bedding, and the service didn’t end there! Every night there was complimentary evening turn down service. My 520 square foot oasis was heaven to come back to in the evenings, especially with the massive HD flat screen TV (bonus, there was another smaller TV in the living room). So much so that I had absolutely no regrets coming back to my room right after dinner (or bringing dinner back) each night and just chilling out. Even though I decided to experience various eateries in downtown it was a comfort knowing that if I did get a case of the munchies in the middle of the night there was 24-hour room service. The marble bathroom just off the bedroom had both an area with a sink and light up mirror to get ready and separate room with the toilet, shower (featuring premium bath products) and another sink. This is exactly what a lady such as myself dreams for in a hotel. Just off of the bathroom was a closet for me to store my bags, which also included bathrobes and slippers. You can be sure I wore those around my room every morning as I delayed actually leaving and exploring Portland. Within the living room of my suite the couch also opened up into a full sleeper sofa with windows that opened into the crisp, fall Northwest air. The Heathman also curbed my need for heading out to Starbucks as they included a French press and electric kettle with complimentary Portland Roasting Company Coffee & Steven Smith Tea (which is literally the best brand of tea I have ever had) on a table next to the couch. If by now you’re like, stop, I can’t take any more of this amazingness, I have a little more in store for you. 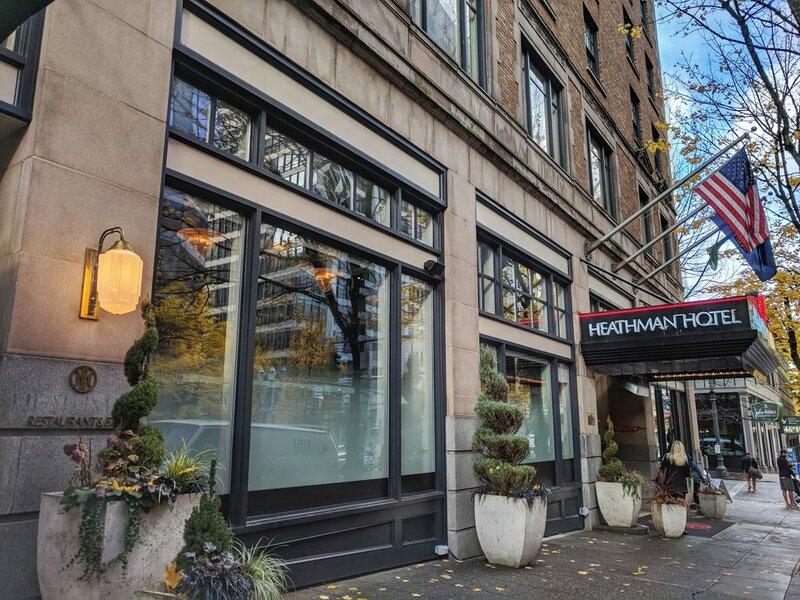 Everyone knows a huge factor to any hotel is location, location, location, and The Heathman has you covered. A less than 10-minute walk to the nearest MAX light rail stop, Pioneer Courthouse Square (which is about to light their Christmas tree) and the park blocks (where you can lounge and people watch with your hot beverage) you will never be short on things to do without feeling as though you have to trek across the city. 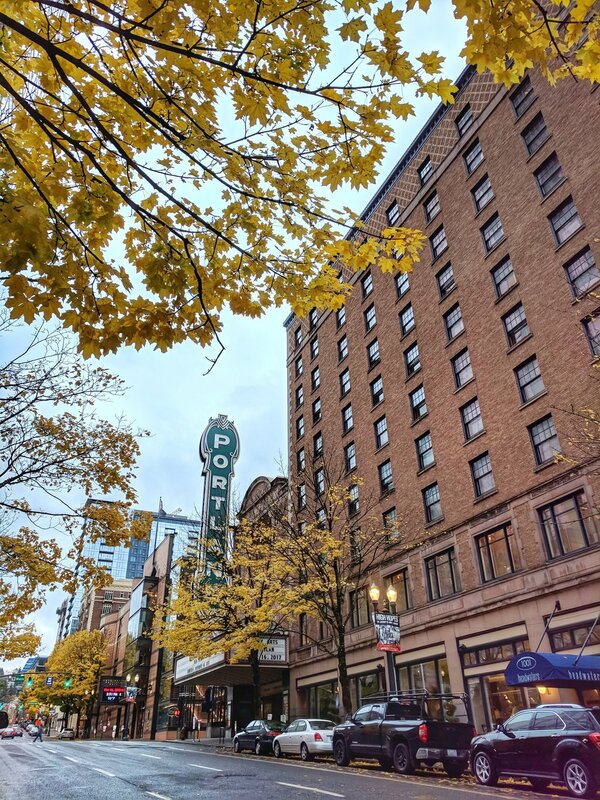 Right next door to the hotel’s restaurant is the Arlene Schnitzer Concert Hall and Portland Center for the Performing Arts, so you must make sure you experience a concert and performance or two during your stay. And if you’re feeling a little more adventurous, remember that light rail stop I mentioned?, just walk two blocks and hop on the train to zip on over to The Pearl District, Keller Auditorium, the Oregon Zoo, the Oregon Convention Center and the Moda Center (formerly the Rose Garden) where the Portland Trailblazers play. Overall, staying at The Heathman made my trip to Portland even more special. I had heard about the hotel numerous times but had never actually been there. Normally you don't want to go into a place or an experience with high expectations because then you are more likely setting yourself up for disappointment, but after staying here I can honestly say go in with as many expectations as you want. Upon your check out you will leave fully (and almost overflowing) with satisfaction. I can guarantee it. Don't forget to pin one of the images below. This is a hotel you do not want to forget about when booking your next trip.